Ken is a professor in the School of Social and Political Sciences in the subject area of Urban Studies. He has been a full time member of staff at the University in various guises since 1989. He became a professor in 2006. Ken was also Head of the Department of Urban Studies from 2005 to 2010 and associate dean of the Faculty of Law, Business and Social Sciences in 2009-10. 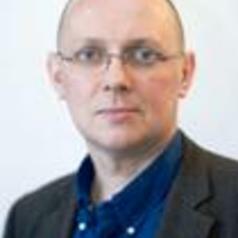 After four years as Director of Policy Scotland, he is now Director of the UK Collaborative Centre for Housing Evidence. Ken's research interests are focused on the economic, financial and policy dimensions of housing. He has carried out research for government departments, ESRC, Joseph Rowntree Foundation, trade bodies, the private sector and international organisations like OECD. His current interests are on the financing and economics of social and affordable housing, and, the application of behavioural economics to housing. Ken was managing editor of the Urban Studies journal for a decade. He was president of RC43 (housing) of the International Sociological Association and is a former president of the European Real Estate Society. He sits on four editorial advisorial boards. He was a visiting professor to the University of Amsterdam in 2011. He has acted as an advisor to the Scottish Parliament's Infrastructure and Capital Investment Committee and given evidence to other similar Parliamentary committees.. He is chair of Sanctuary Scotland housing association. Ken regularly blogs on housing and related policy matters at http://wordpress.kengibb.com.